The amount of gear that you need for a full day at the crag is usually quite a bit more than a day at the gym. 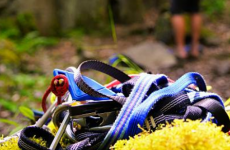 Not only do you have to bring your climbing shoes, harness and chalk, but you’ll also need your own quickdraws, belay device, rope, and any other gear that you’ve collected for the specific climbing type and area that you’re going. You’ll also need to pack supplies like food, and maybe spare clothing for changes in the weather, first aid kits, the list can go on and on. Luckily, climbing companies make very good-sized specialized backpacks that were designed with life at the crag in mind. Let’s take a closer look at our Top 5 Picks for the best climbing pack to take to the crag. 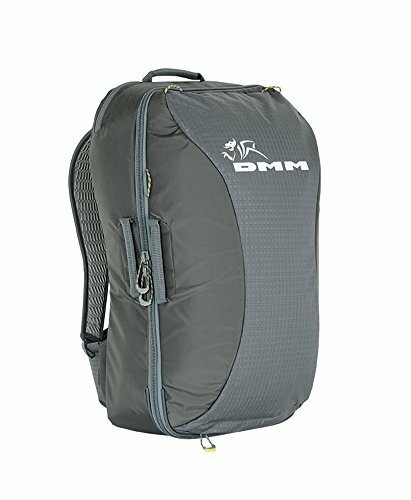 The DMM Flight Sport Crag Pack is a comfortable carrying case with thick padded shoulder straps and a padded waist belt. It also has additional tote handles to make it easy to transport and carry. It was designed to hold an 80 meter rope and your climbing gear essentials. The dimensions of this pack have the added benefit of being the maximum size for airline carry-on allowances. 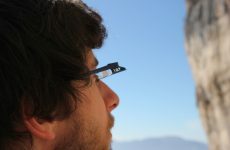 This makes it very convenient for fast getaways to new climbing areas. 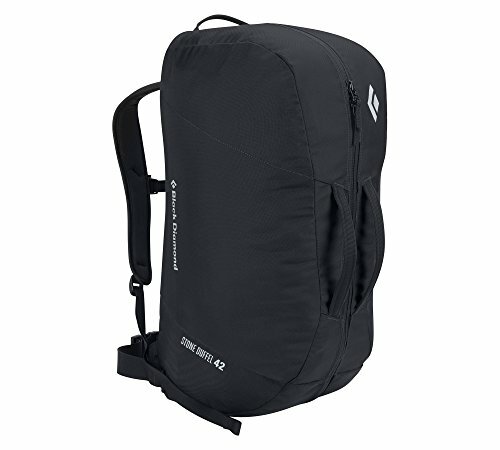 There are extra loops on the back of the pack, and hidden at the top are extra attachment straps that let you attach even more gear if you don’t find the 45 L space enough. The main compartment zips off on all 3 sides, giving you lots of room to access the interior. There are also 2 extra zippered pockets for easy access to smaller items. Inside the bag there are gear loops, and it even includes a DMM rope tarp. This airline friendly pack is a great multipurpose pack that is easy to load and carry, and has more than enough storage for a great day at the crag. 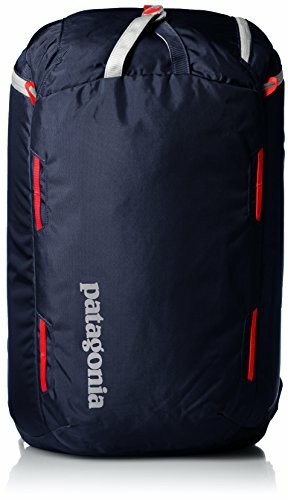 The Patagonia Cragsmith Pack is a stable pack that stays standing while you pack it. Its unique feature is two entries into the main compartment, which makes it very convenient to access everything inside. There is a zippered entrance at the top of the bag, as well as a clam opening on the back of the bag so that you can lie it flat and gain access to the contents from the back. The reinforced back panel also has a zippered stash pocket, and a hydration bladder with passthrough, keeping it separate from the rest of your gear. 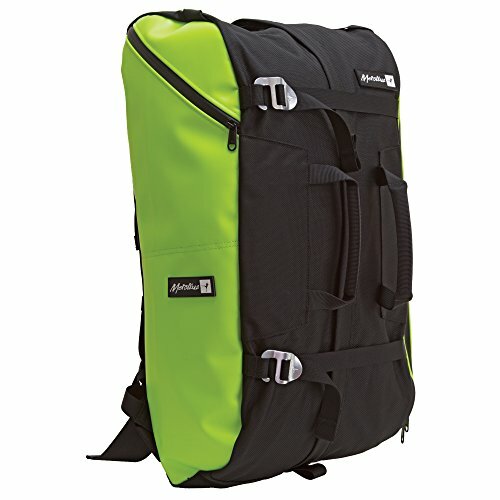 The mesh covered suspension system and straps have excellent padding and this makes it comfortable and easy to carry. There is an additional zipped pocket on top that includes a built in key loop. There are also thin zipper pockets on the side and front of the pack. Extra straps are located on the front of the bag to strap extra gear, as well as gear loops on the front of the pack. You’ll be able to carry all your gear both inside and out with this pack. 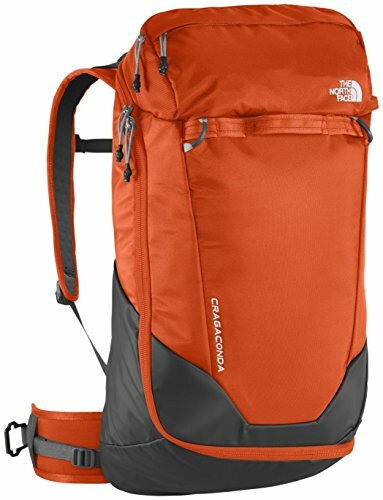 This is a very comfortable pack with a lot of great features and it’s easy to see why it is such a popular choice for a crag pack. The Black Diamond Stone Duffel is a duffel bag with padded backpack straps that can be easily tucked away. The padded hip belt makes it easy to carry on your way to the crag, and it also stows away to make airline travel easier. It opens fully down the middle allowing easy access into the bag. There are also two tote handles to make it easier to pick up and move the bag. There are two internal zippered organizer pockets, ideal for carrying your smaller items organized. This bag will easily fit your gear and your rope, and it includes a rope tarp as well. The Metolius Crag Station Crag Pack has a duffel style opening that is covered by durable flaps and straps with metal buckles. It also has tote style handles, and the shoulder straps and waist belt tuck away for easier travel. There are 2 external zippered side pockets for easy access to smaller items, and a mesh pocket attached to the inside. There are no extra loops or gear straps on the outside of the pack, but it’s quite possible to attach things to the front straps or the handles. This crag pack is rugged and sturdy, and the metal buckles are guaranteed for life. It is a roomy bag that makes everything inside easy to access. The North Face Cragaconda is a simple backpack with a great design that really allows you to pack a lot into it and keep it organized. It has a much wider bottom than most standard backpacks, which makes it a perfect fit for your rope. There are separate pockets and gear loops inside the pack, which makes it very easy to keep everything organized. The clam shell opening allows very easy access to all your gear. This bag is really simple to pack and keep organized. There are great gear loops and a gear strap to attach additional gear to the outside of it. This is a very comfortable pack, as it is very well padded on both the straps as well as the backing. The hip strap is removable and the buckles are heavy duty steel. There are 2 tote handles on either side of the opening flap, which makes it easy to maneuver as well. There is also an additional carry handle near the top of the bag. 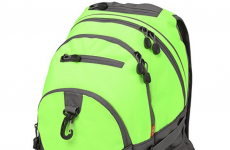 This backpack comes in one color – high visibility orange. There is an included rope tarp. There are so many features on this bag. With its roomy interior and brilliant weight distribution, this could very possibly be the perfect crag pack. If you’re just looking to pick up a daypack full of minimal climbing gear and head to the climbing gym, check out our picks for the 5 best climbing bags for the gym. 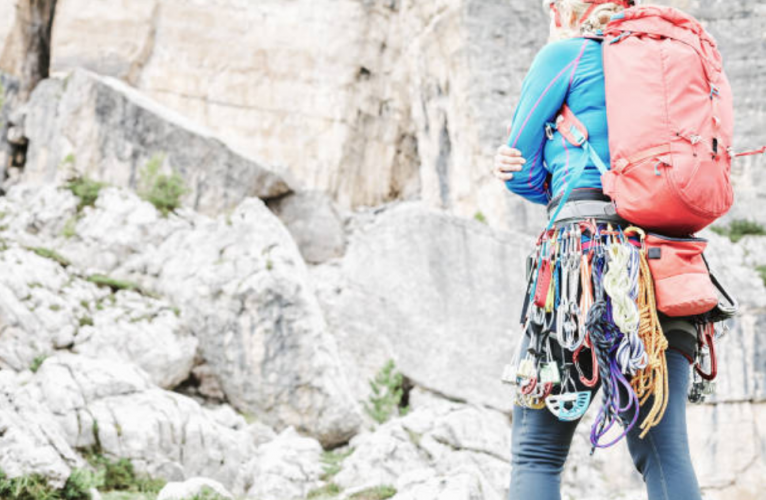 Choosing the right climbing pack for your needs and preferences will make getting packed and hiking to the crag more enjoyable and efficient. We hope you can find the right pack and that you’ll love it so much you’ll plan even more trips to the crag.